“I sit here and think ‘How did I get so lucky?’” says Susan Day Fragiadakis, a research assistant in Holland Bloorview’s Autism Research Centre. Susan recruits and assesses children and youth and their families for a study that aims to link genetic changes with specific types of autism and other neurodevelopmental disorders like Down syndrome. Susan is part of a Province of Ontario Neurodevelopmental Disorders (POND) Network study that follows over 300 children and young adults. “The goal is to understand how genes and biology affect the brain and behaviour in autism and other neurodevevelopmental disorders,” Susan says. That includes attention deficit hyperactivity disorder, obsessive compulsive disorder and intellectual disability. Participants give a blood sample for genetic analysis; have a brain scan; do interviews and questionnaires; and choose whether they wish to participate in a medication trial. 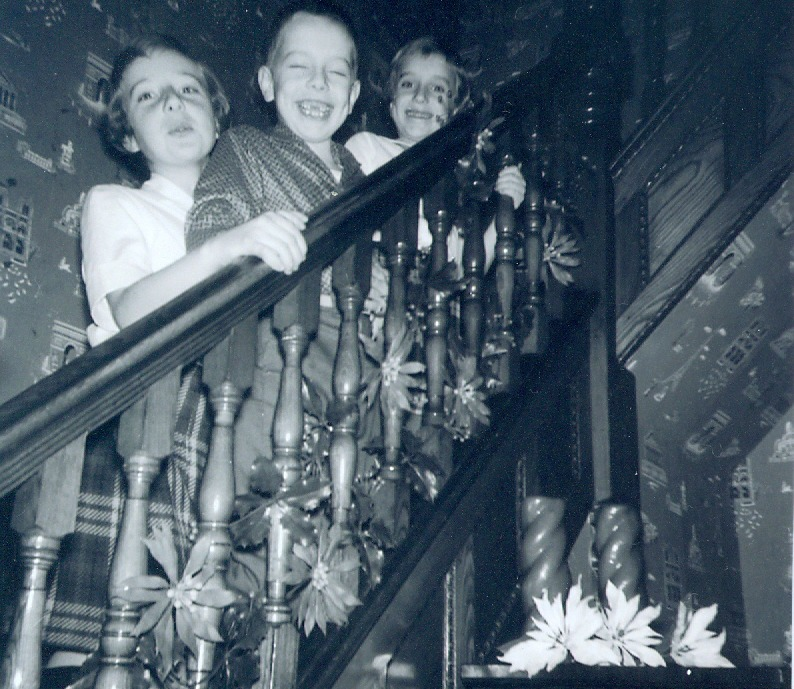 Her passion for understanding autism stems from her own family’s experience with incorrect information when her brother Rick was diagnosed in the early 1960s (see Susan top right in photo, with her siblings). Rick was one of the first people transitioned back to the community. He now lives in a group home and visits Susan and other family members every two to three weeks. At 60, he loves horse-back riding, sawing wood and fancy restaurants. Susan believes her experience as a sibling to a brother with autism and as a parent to her own children helps her draw out the information she needs from parents. What a terribly heartbreaking story - I can't imagine the pain. When I was in my last year of high school, I got a summer job working with children with disabilities in a day programme. There was one little boy with autism and I remember they said his mother was 'cold' and that's the reason for his disability. When she came to get him at the end of the day, I remember thinking she was a terrible person. We had to practice the principles of behaviour modification and when this little guy had a meltdown, he went into a cupboard with a timer and alarm on the outside. This was in 1972. These are such sad memories of how wrong we all were about disability. If only we could turn all the clocks back and do it over again... with love and education.